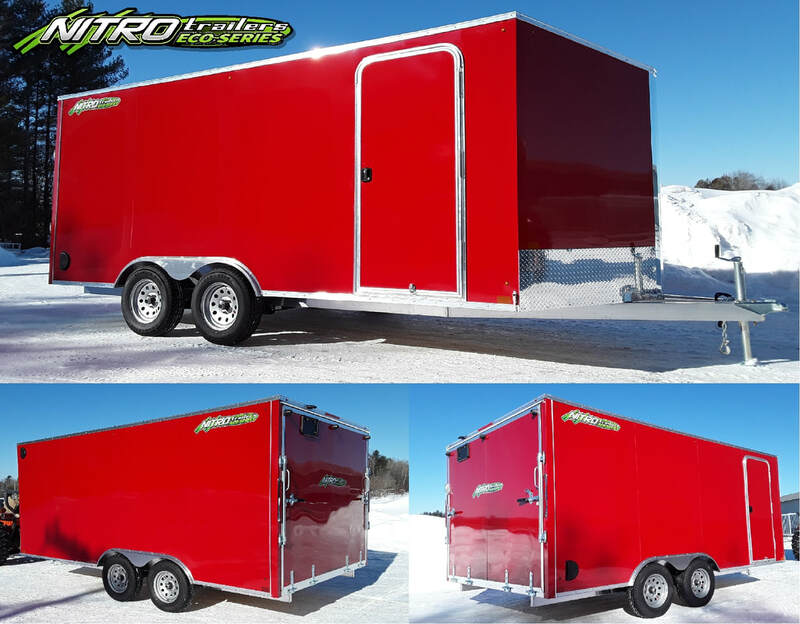 ​Nitro Trailers offers 2 distinct types of trailers for Cargo and Inlines. The Standard Nitro Series is the trailer that started it all, focusing on superior fit and finish with the best quality components available. As we grew in the market, we realized most of our consumers didn't care about all the details, and just wanted something that still looked good and was cheap. Thus the introduction of the Eco-Series Line. Still built under the same fabrication guidelines as our Standard Line, but without all the bells and whistles, and utilizing more affordable components. Here are many of the key differences between the Standard Nitro and the Eco-Series. 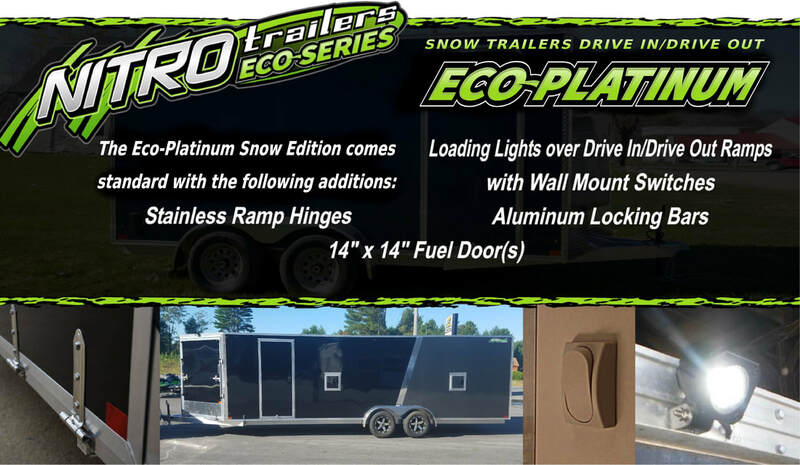 ECO-SNOW Trailers come with the same features as our ECO-CARGO Trailers, but have a 5 foot V-nose with Drive Out Ramp instead of the 2 foot V-nose. 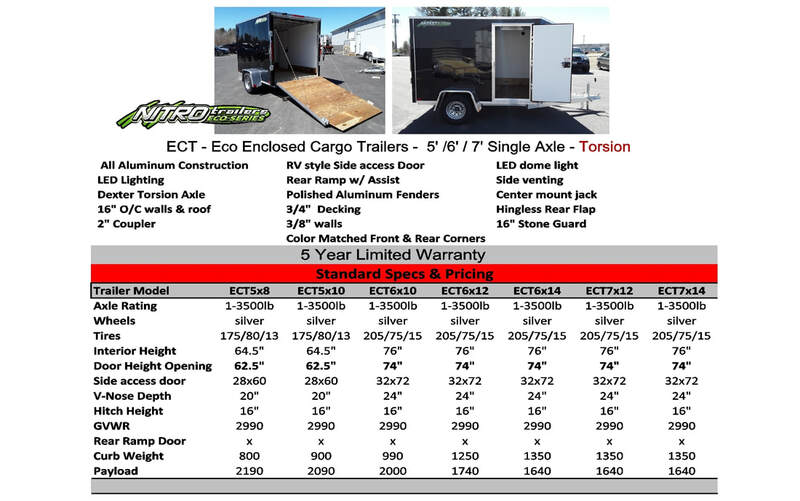 The ECO-PLATINUM Snow Trailer has a few more options listed below. our standard Nitro Series, our trailers are sure to provide you with years of worry free hauling.